When I was a tween I used to love everything from the eighties that I knew only from the American movies like Footloose that I watched many times, attracted by a revolutionary something in women's fashion and beauty style. This Summer '84 makeup is a tribute to these creative years that marked my childhood : I used to wear turquoise leggings with off-shoulders yellow sweaters, this was all natural to me and my haircut suited my outfits ! And so I've taken my brushes and begun creating a really bright makeup, something I would definitely not wear outside my house. 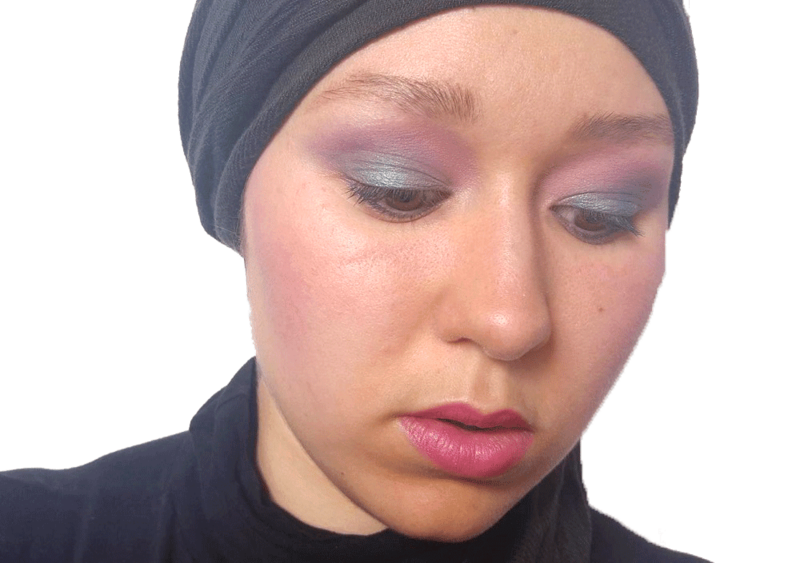 I especially wanted to work on blending different bright colors and create a very colorful makeup for the summer. 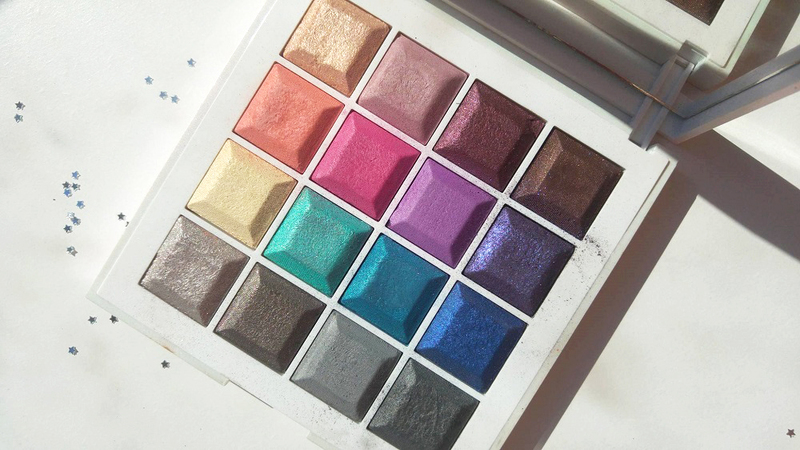 I used the Kiko Colour Evolution Must Have palette to achieve this look : I've bought this several years ago : it was part of the 2013 Digital Emotions limited edition that I missed (it seems like I miss each and every interesting limited editions) and I found it again on Beauté Futée, I think (a kind of French Poshmark). I used the entire second line, the blue/green and the turquoise eyeshadows. The mix of all these colors give me a sour and sweet look - I love this kind of creations. 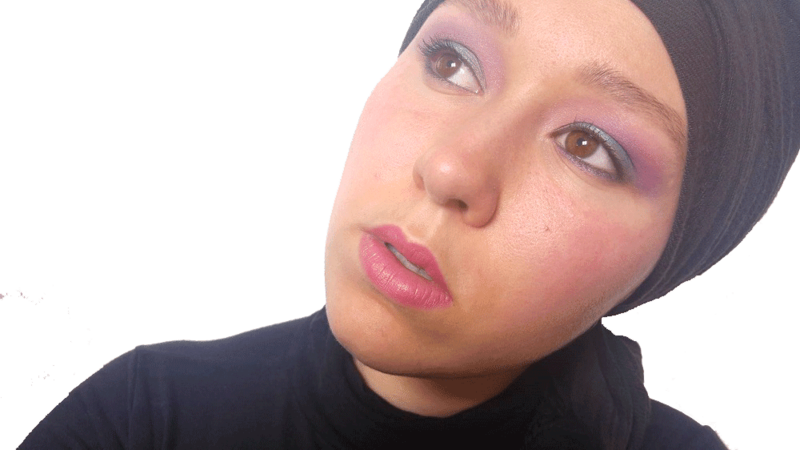 In the inner corner of the upper eyelid, I've used pink and coral and I've blended them with light purple in the outer corner. I blended it all very high, up to the eyebrows. 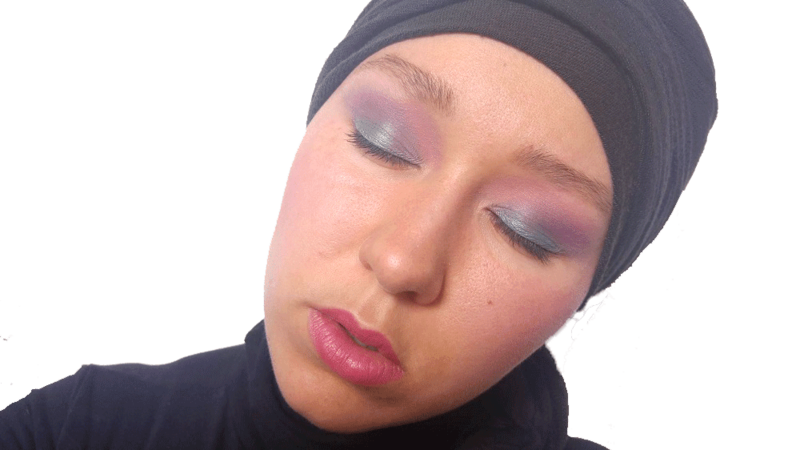 In the crease, I added some turquoise and blended well, after what I wet the blue/green eyeshadow and applied it on my eyelids. I really just wanted to work on my blending techniques and when I saw that the makeup was somewhat acceptable, I took some pics and here it is on the blog ! I have used four or five blending brushes for this gradient eyelook - would you care for a blog about my favorite blending brushes ? 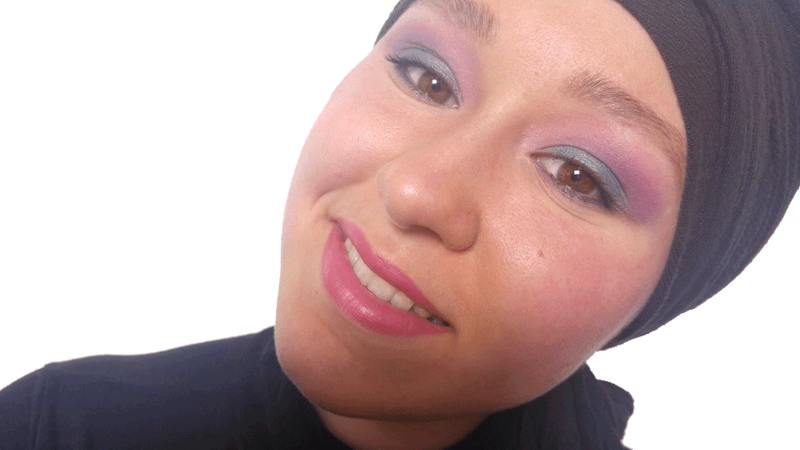 I applied the dark sparkly purple eyeshadow under my lower lashline and several layers of a trivial Max & More mascara. I applied some dark brown Max & More eyeliner on my eyebrows and blended it with my hairs so they would remain as natural as possible - so your eye would be attracted to my eyes really. On my face, I've used the mattifying face primer from Sephora and a mix of the light purple and pink eyeshadows as a pop blush. Just a hint of Makeup Revolution highlighter in Peach Lights on my nose, above my lips and on my cheeks. I like how the gradient acts out with the color of my eyes - I really didn't think I'd be able to create a gradient look and I love how simple yet efficient the look is, actually.